At the end of 2010 I listened to the audiobook of The Sharper Your Knife the Less You Cry by Kathleen Flinn. It is the story of her experience upending her entire life, moving to Paris, and attending the world's most famous culinary school: Le Cordon Bleu. I was so enamored with Flinn's story, not just because I admire anyone who can take a huge risk like that, but Flinn's voice and style of writing were so engaging and her words were so perfectly placed that she managed to make my mouth water in each and every chapter. So when I was approached by someone at Viking about reviewing Flinn's new book, I jumped at the chance. Given my enchanting experience with her first book, I knew I would not be disappointed with her latest food memoir, and I was not wrong. After returning to the U.S. from her experience in Paris, Kathleen Flinn found herself unsure of what she wanted to do with her culinary education. Then one day as she was cruising the grocery store, she came across a haggard mom perusing the aisles with her cart full of ultra-processed food. Not one to generally stalk people in the grocery store, something compelled Flinn to approach this particular woman and walk her through the store, replacing her processed food with real food. Inspired by this chance encounter at the grocery store, Flinn came up with the idea to find a group of people who felt cooking was out of their realm of abilities and start teaching a cooking class. It didn't take long for her to find nine willing participants and The Kitchen Counter Cooking School was born. 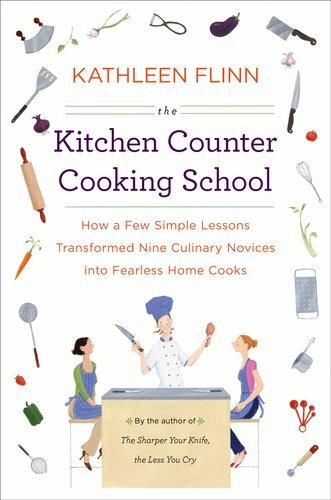 Part memoir, part testament to the ease and importance of cooking real food for yourself and your family, The Kitchen Counter Cooking School was one of the most engaging nonfiction works I read in 2011. Seeing as how I love food so much and have learned a great deal about the subject on my own, I now judge the success of any food book based on two criteria: 1) Did it make me hungry? 2) Did I learn anything new? I can say this book succeeded on both counts. I have become extremely discriminating in recent years when it comes to cookbooks because I am someone who doesn't follow recipes to the letter. I often find myself looking in the fridge and coming up with ways to use the ingredients I have rather than being slave to a recipe. So cookbooks, in a way, have lost their luster for me. Which is why it is always the mark of a successful cookbook or food tome when I can genuinely say that I learned something new from the author. As you can see by the number of post-it flags strewn throughout the book, I think it's safe to say I learned a great deal. Since I would consider myself a fairly successful home cook, one might assume that this book would be over the heads of people wanting to make a change and learn to cook for themselves. I'm here to tell you that it's not. The Kitchen Counter Cooking School will inspire neophytes and aficianados alike. How likely will someone who doesn't like to cook pick up this book? Not very. Nonetheless, if someone who doesn't like to cook or doesn't cook well manages to find this book thrust into their hands, I think they will be inspired to pick up a chef's knife and start chopping. Which I think is what makes this book so successful - Flinn writes in such a way that will make you feel inspired. Whether it's to get up off the couch and start making a delicious no-knead bread, or to take a look inside your own cupboards and start purging anything that was made in a factory, I can't imagine this book not compelling anyone to act and move in a positive direction toward a healthier eating mindset. bottled dressing every once in a while? Sure, but this book reminded me to have confidence in my own ability and make what I can, especially if it doesn't take much time. In addition to inspiration, Flinn also gives readers some background about processed food, how they became popular, and why they are so bad for you. For example, I was rapt to discover that the reason we have so much processed food in the first place is because after World War II, food manufacturers needed to figure out how to sell and market their products so as not to lose out on all the technology and discoveries they made from creating army rations. Food manufacturers had to find a way to convince women in the kitchen that cooking was beneath them, that they didn't need to spend time slaving away in the kitchen. Their products could do it for them. Basically, they marketed laziness. A perfect example of this is the boxed cake mix. Food science has come far enough to create a mix where you only need to add water. But not only do they taste inferior, food companies discovered that by allowing people to add their own eggs, oil, water, etc, it made them feel more involved in the baking process - like they were making the cake from scratch. But making a cake from scratch does not take that much longer than making one from a box, and when you make your own, you have the benefit of only using seven ingredients as opposed to twenty-five ingredients, most of them unpronounceable. I mean, have you ever actually stopped to look at the ingredients on the back of a box of cake mix? It might compel you to make a cake from scratch next time. I could go on and on about the things I learned from this book but I don't want to make this review so long that people won't read it. So I'll just leave you with one last thought: if you often find yourself feeling that cooking is just too much work (and believe me, there are days that even I feel this way and cereal for dinner is the only thing I feel like "making"), Flinn will change your mind. Her writing is so engaging and her methods are so simple that even the most reluctant newcomer to the kitchen will find themselves wanting to try some of the recipes in this book. But this book goes beyond just recipes. Flinn teaches you techniques and methods that will help you to feel confident in your own abilities to put dinner on the table without the need for a recipe. She gives you flavor profiles to work with so that you can create meals at the drop of a hat. More importantly though, she will make you remember why cooking is so important because, in general, the more you cook real food, the healthier you are and the less you weigh, and in a nation that put obesity on the map, it's time we stop being slaves to food manufacturers and start buying real food. Here is an example from the book of a recipe that many people think is too difficult (even I thought this), but actually can be put together in mere minutes. I wouldn't recommend making this dish frequently given how rich and full of fat it is, but it's certainly a luscious treat to make every now and again. Prepare pasta according to package directions. Reserve one cup pasta water to use in the sauce. Over medium-high heat, add all but 2 tablespoons of heavy cream to a saute pan. When it bubbles, add the salt. Small bubbles will erupt into larger bubbles. Stir. When the sauce thickens enough to cover the back of a spoon, or leaves a clean line in the bottom of the pan when you pull a spatula across it, add the pasta water. Cook over medium-high heat about three minutes, until it bubbles again and the sauce thickens. add reserved 2 tablespoons of cream, heat through and then add the cheese, garlic, and a few cranks of pepper. Add pasta and any additional ingredients and stir well to coat. Enjoy! I added a bit of fresh parsley for color, and forgot to reserve the 2 tablespoons of cream for later, but the dish still came out delicious and took almost no time to make. In fact, it took longer to cook the pasta than the sauce. It's funny, I am very comfortable baking, and consider myself fairly accomplished in that regard, but when it comes to cooking, I have no confidence in my abilities and as a result, I shy away from anything too "complicated." The closest I've come to making my own salad dressing is the good seasons italian powdered mix, so I think I could benefit from this book. 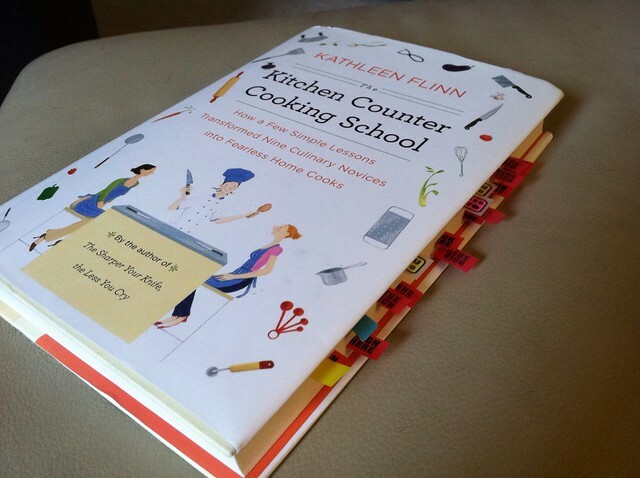 The fact that you say this book could work for both novices and seasoned cooks makes me think I should give it a try. What a great post! I know I feel so much better when I've made foods from scratch. I've heard good things about this book and her experiment, and you've made me want to read it. What a fun review. I felt like I was following you around your kitchen! 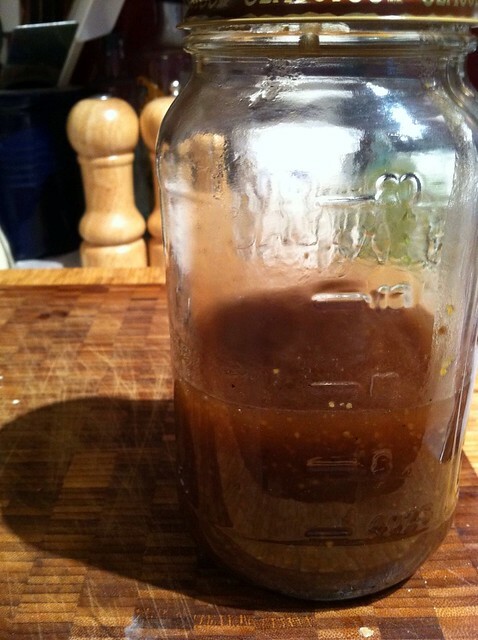 I like making my own salad dressings, too. So much that I often make just enough for the current salad since I won't mind making another for the next salad. Great review! Now I'd like to check both books out. 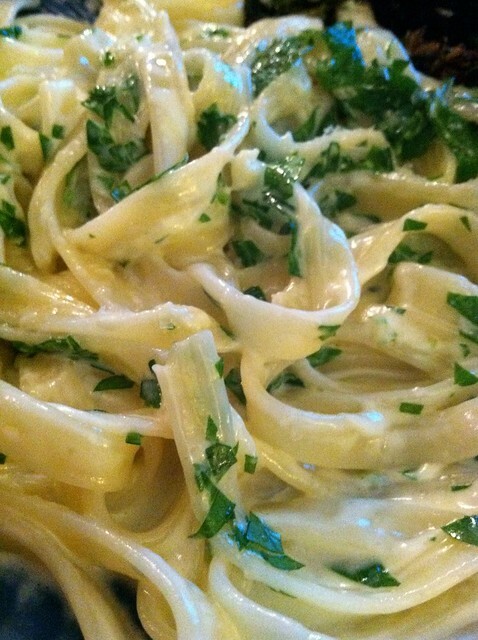 Your alfredo looks amazing! 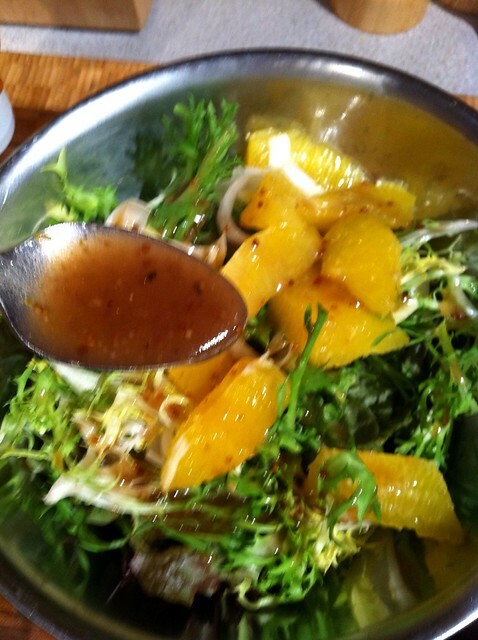 I love homemade dressings. Enjoyed your post. I make so many foods from scratch in my kitchen. I proudly haven't used a boxed cake mix in many years, although I have bought muffin mix at Trader Joe's once or twice in a pinch. The ingredients were at least all recognizable there.. Anyway, salad dressing is definitely an item I've been wanting to make from scratch for years now. In fact, I just copied one down from a cookbook I had out from the library. I hope it's a hit! I read this book a while ago and I too find it an awesome book!